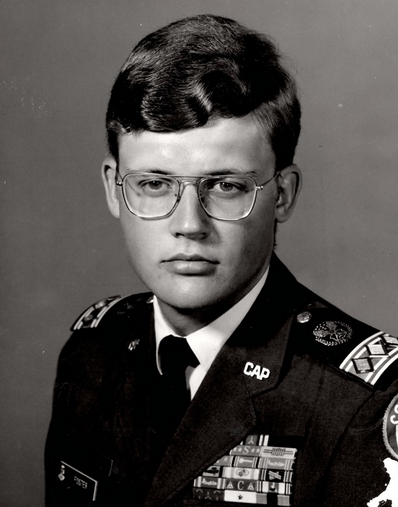 Lt Col Michael Foster, CAP, passed away on March 6 2015. Michael served as the NCSA Director for Cadet Officer School from 2009-2011. The staff of COS 2015 is collecting money to have a brick made for placement under the Bird Dog at National HQ. To donate, contact us. Notification courtesy of Michael Kathriner. Michael Ray Foster was called to the Lord Friday afternoon from his home on March 6, 2015. Michael was born on March 27, 1954 in Denver Colorado to parents Harold and Joretta Foster. He spent part of his early youth in Billings, Montana before his family returned to Denver, where he graduated from Jefferson High School in 1972. From his youth, Michael had aspirations to join the United States Air Force. He enrolled in ROTC at the Metro State College in Denver and earned the rank of Second Lieutenant upon his graduation. During his studies, Michael met Helen Willette Christopher in 1977 and the couple married in 1979. He received the Distinguished Graduate award from Colorado University and began his active duty in the armed forces in 1981. The couple had their first son Jason in 1983 while living in Great Falls Montana. Michael was gifted with a second son in 1987 while stationed in Southern California. Michael and his family finally settled in Montgomery, Alabama in 1995, returning to where he and his wife had first met in 1977. After retiring from the Air Force, Michael continued his life’s dedication to integrity and commitment to excellence. He sought to inspire these positive qualities in others through his volunteer work supporting the Cadet Officer School, the Civil Air Patrol, and through his leadership in the John-Archer Elmore chapter of the Sons of the American Revolution. He was quick to volunteer, dauntless in the pursuit of excellence, and humble in his accolades. Michael is survived by his wife Helen “Kris” Foster; his sons Jason (Amanda) Foster and Justin Foster; his sisters Diana (Derek) Baranowski and Valerie (Garry); and his close friend William (Fran) Stone. He was preceded in death by parents Harold and Joretta Foster.